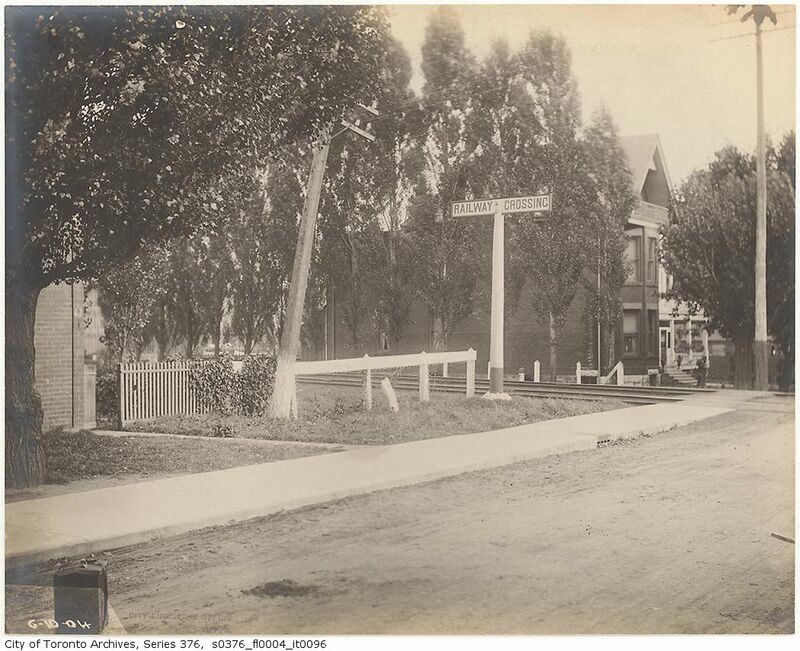 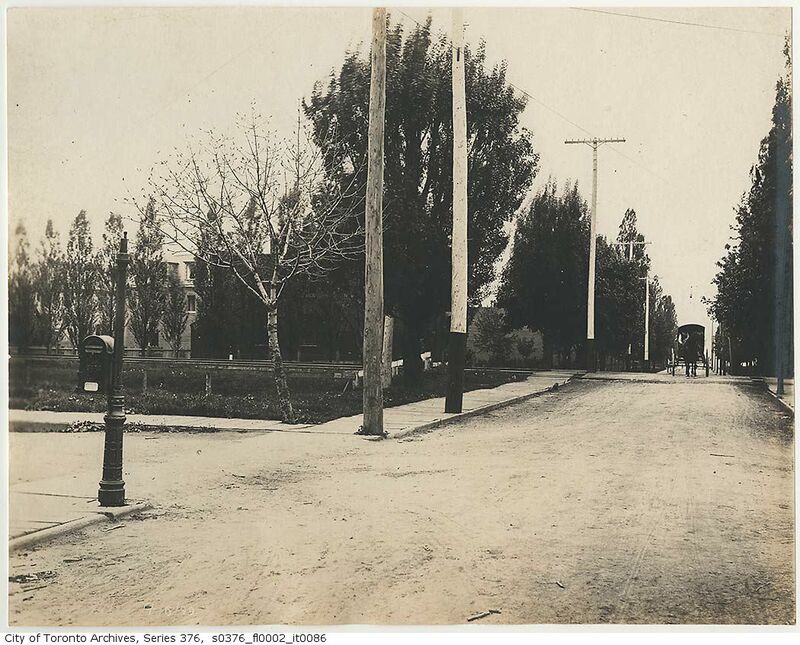 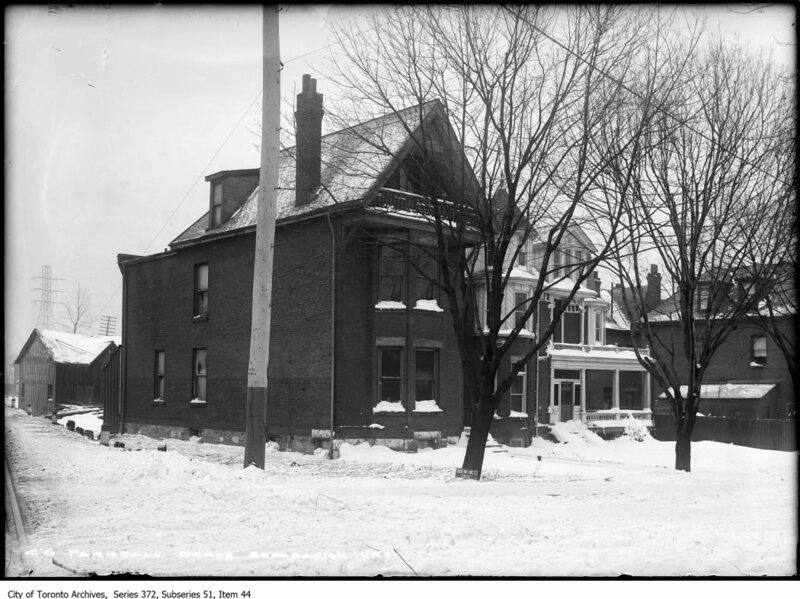 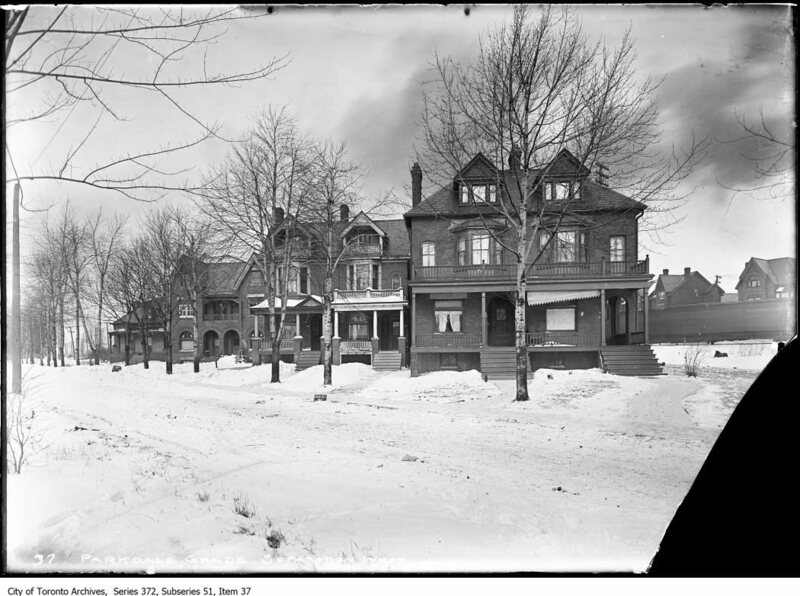 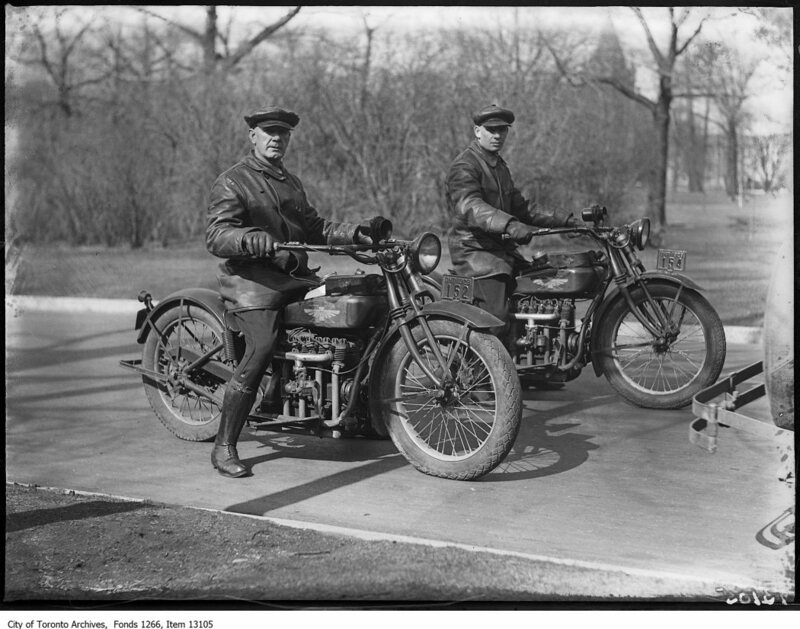 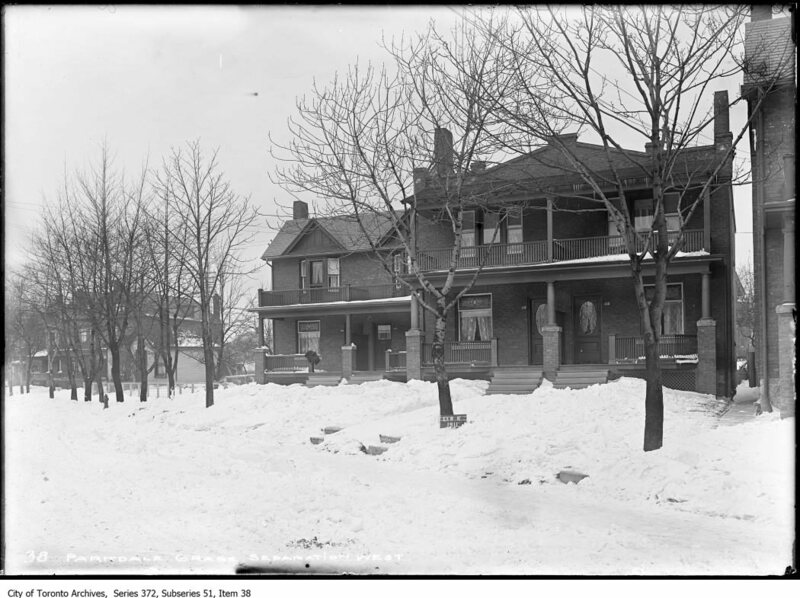 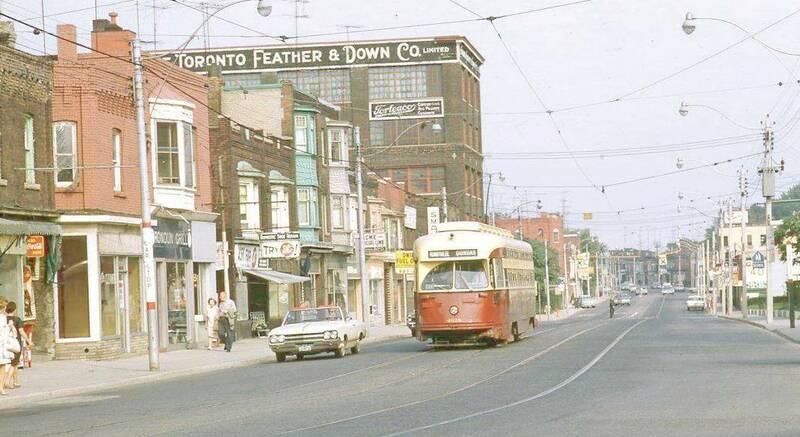 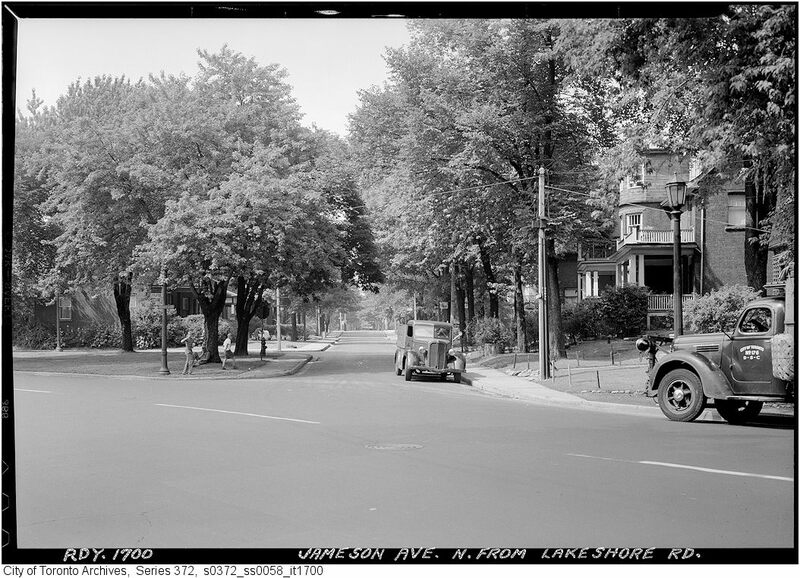 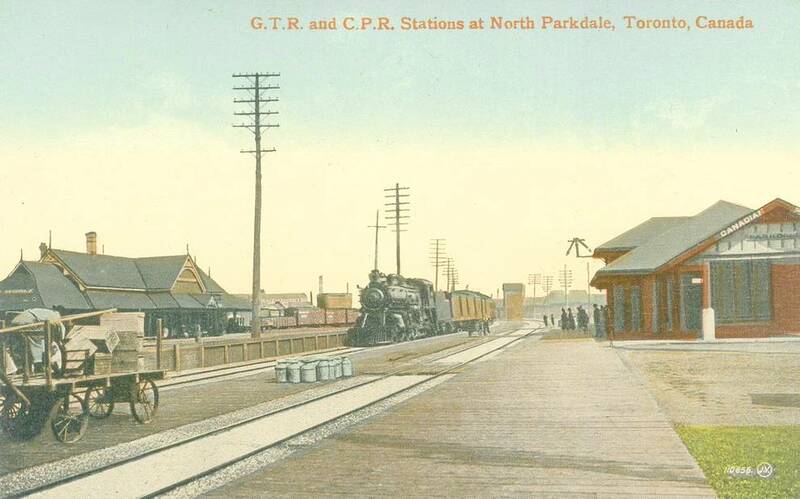 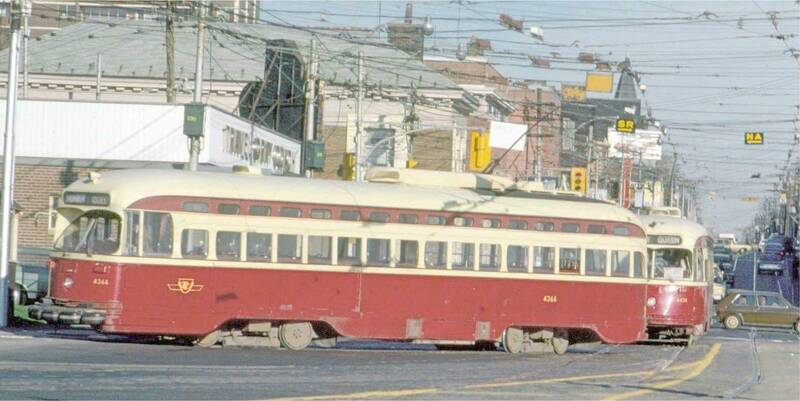 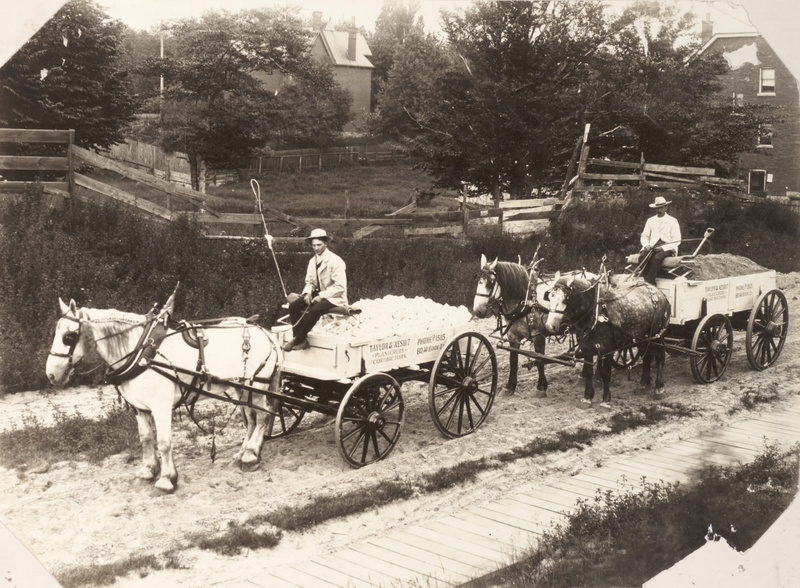 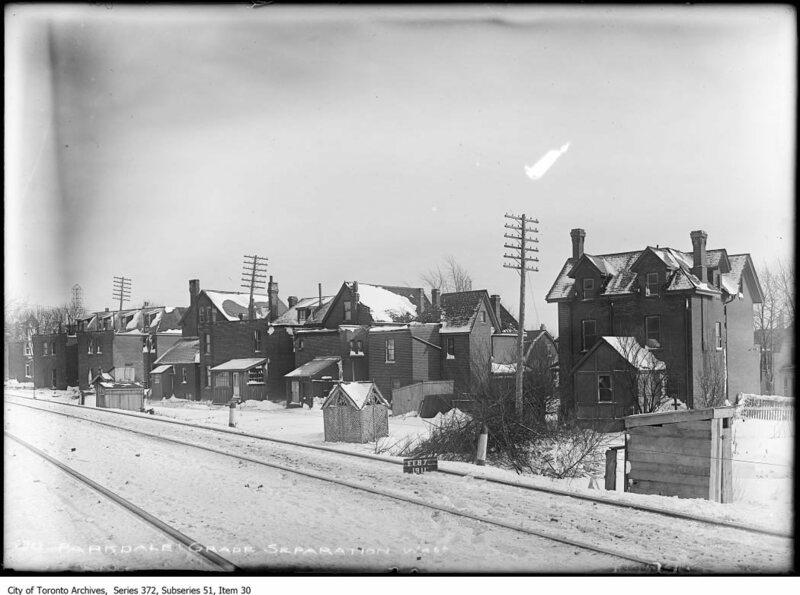 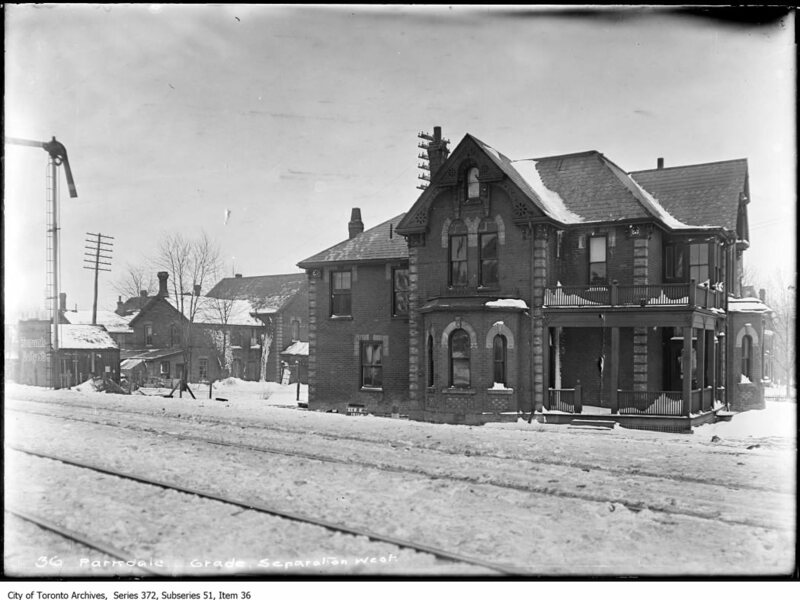 A selection of images from Parkdale’s past. 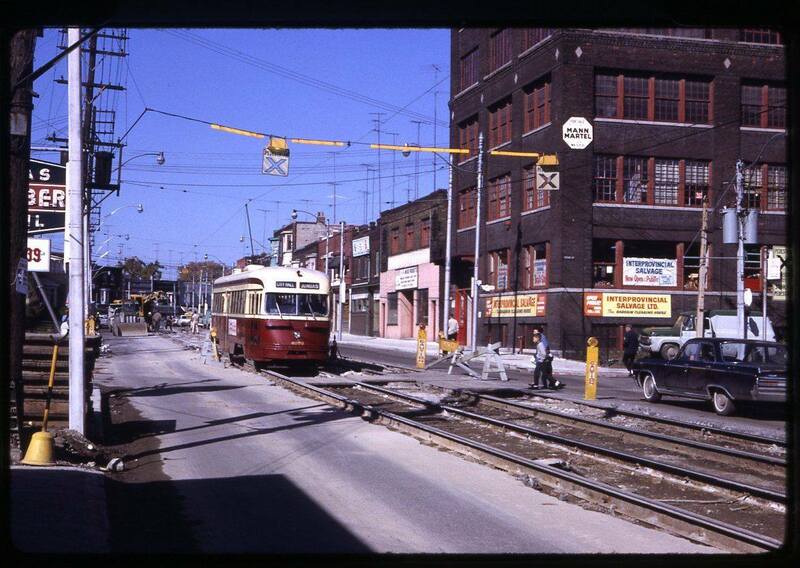 A nice colour photo looking west from 1965and again 2014. 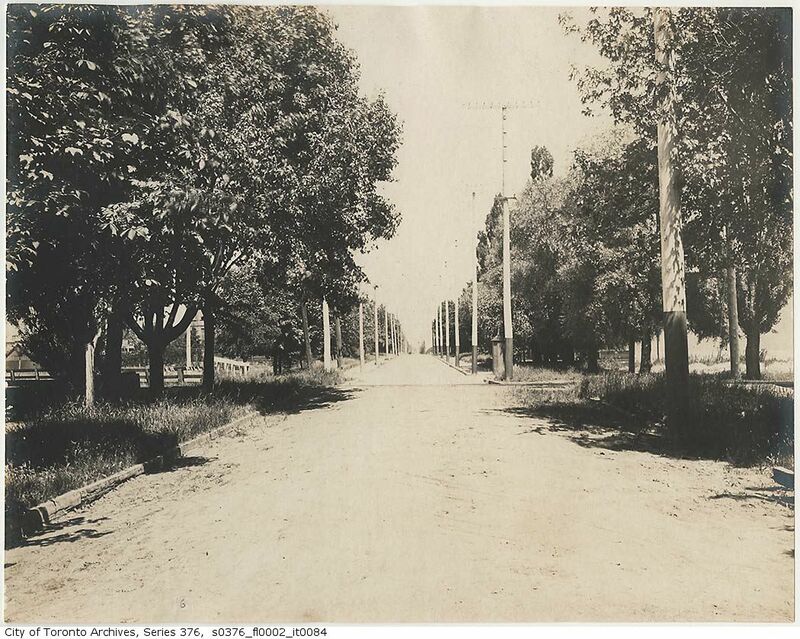 These photos show Dunn Avenue south of the train tracks. 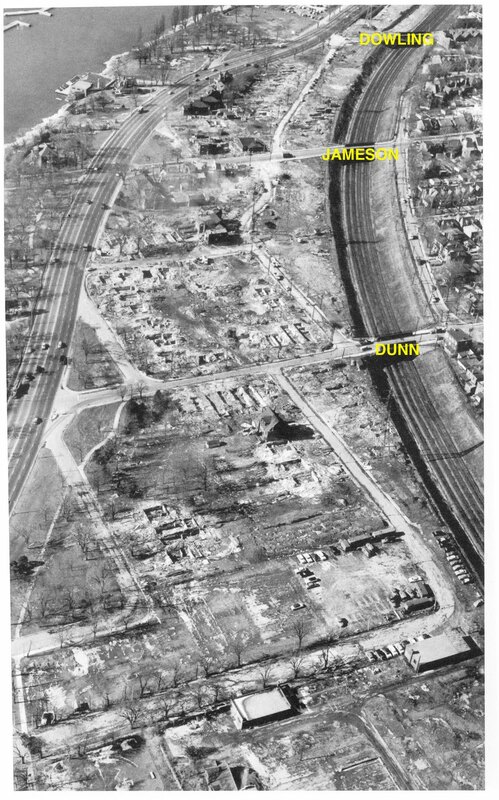 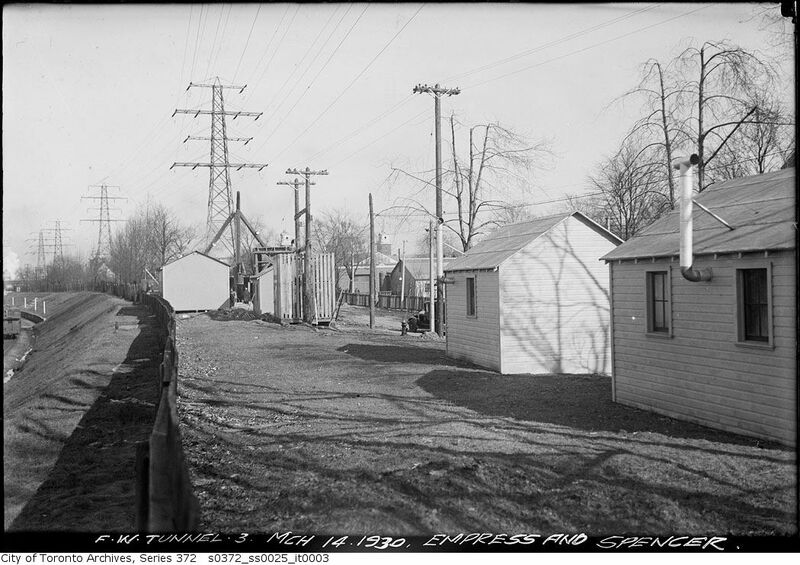 This entire neighbourhood was demolished to make room for the Gardiner Expressway in the early 1950’s. 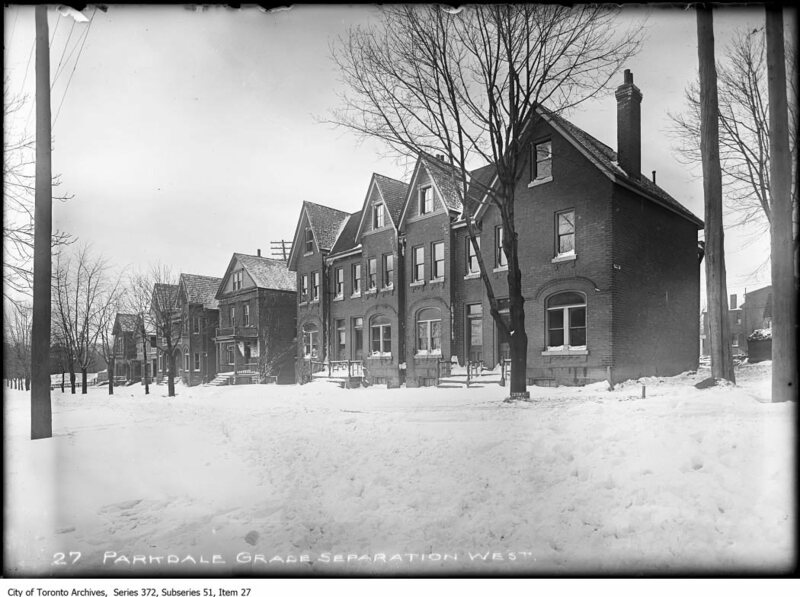 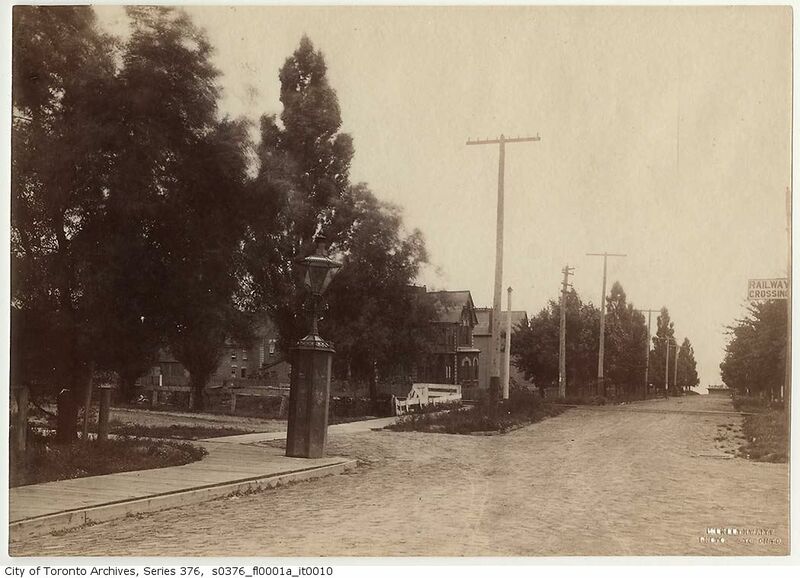 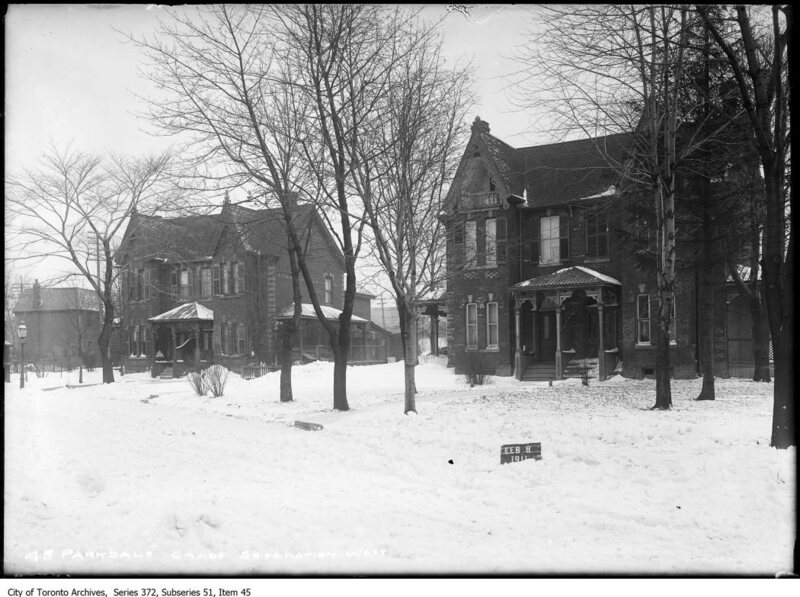 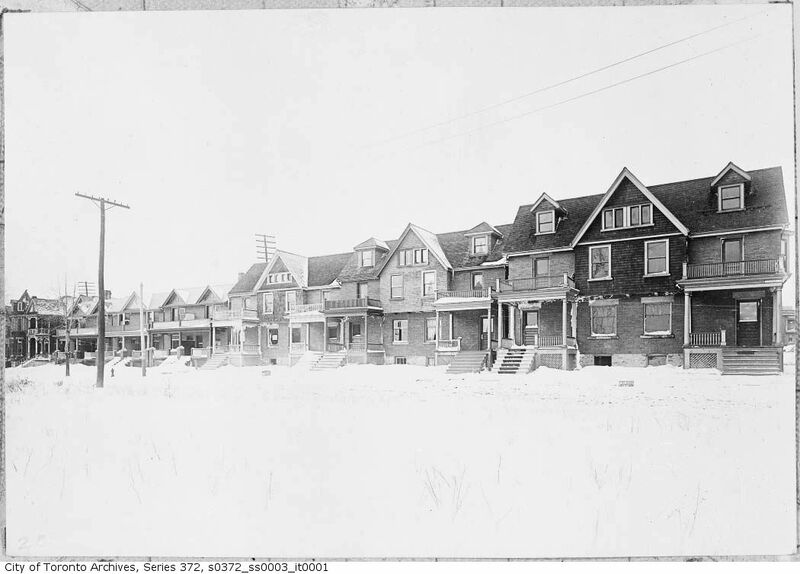 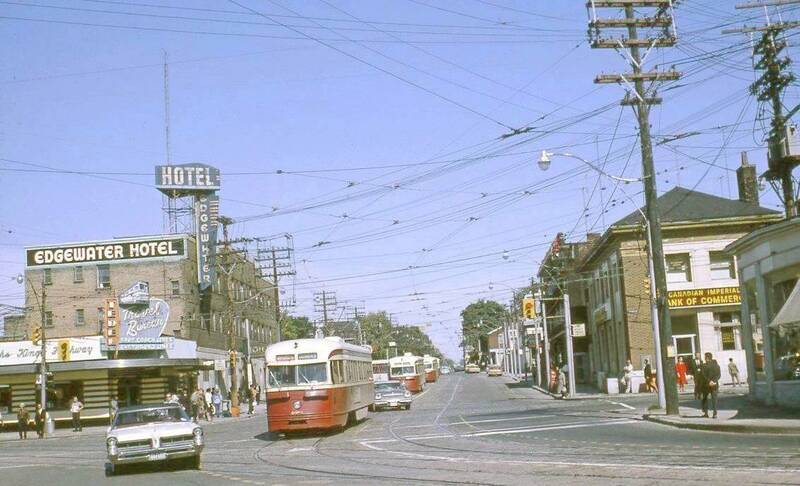 This photo from the archives is labelled “Probably Parkdale” so it’s difficult to determine the exact location. 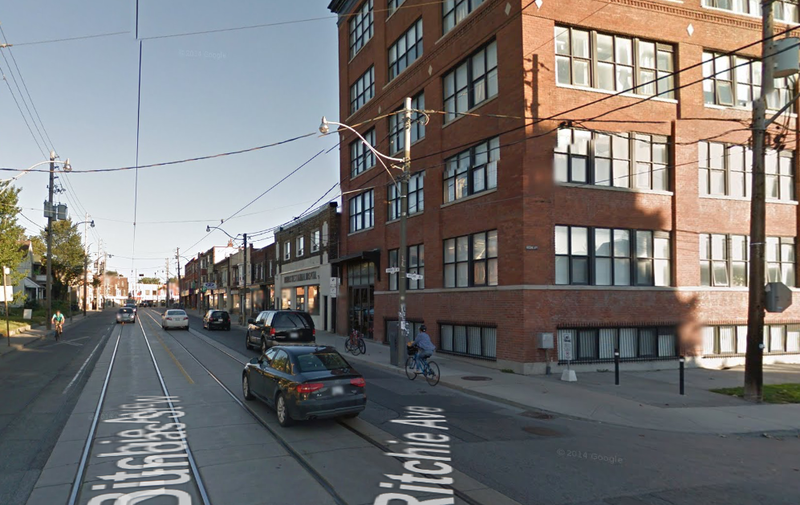 My guess would be somewhere in Lower Parkdale.